The global automotive ECU market was valued at USD 36.6 billion in 2017 and is anticipated to grow at a CAGR of 7.1% during the forecast period. Automotive Electronic Control Unit (ECU) is an embedded system capable of controlling electrical subsystems in a vehicle. The primary elements of automotive ECUs include microcontroller, SRAM, Flash, supply voltage, analog and digital inputs, relay drivers, H bridge drivers, injector drivers, logic outputs, and communication links. Automotive ECUs use closed-loop control to monitor outputs of a system to control the inputs to a system, and manage the emissions and fuel economy of the engine. The ECU receives inputs from vehicle sensors to compute information using a program stored in the ECU on a programmable memory chip. The ECU program uses the inputted sensor information to compute the required output such as the amount of fuel injected and others. There are various ECUs used for different systems in a vehicle. These ECUs are used for transmission, traction control or ABS, AC, body functions and lighting control, engine, and air bags among others. The growing global automotive industry, and rising demand for passenger and commercial vehicles primarily drive the automotive ECU market. The growing electrification and modernization of vehicles, and increasing demand for electric vehicles has accelerated the adoption of automotive ECU. The introduction of stringent government regulations regarding safety and integration of advanced safety systems for improved comfort and convenience boost the adoption of automotive ECU. Market players are incorporating ADAS systems, automated safety systems, and advanced infotainment systems into vehicles to cater to the growing consumer demands, which boosts market growth. The growing development of autonomous cars, and increasing demand of luxury and technologically advanced vehicles accelerates the growth of the automotive ECU market. The global Automotive ECU market is segmented on the basis of application, vehicle type, and geography. Based on application, the market is segmented into Infotainment & Communication System, ADAS & Safety System, Powertrain System, Body Controls System, Climate Control System, and others. ADAS and Safety System accounted for the highest share in the global automotive ECU market in 2017 owing to increasing safety concerns among consumers and introduction of stringent government regulations regarding vehicular safety. The vehicle types in the global automotive ECU market include passenger vehicles, utility vehicles, and commercial vehicles. Passenger vehicles segment dominated the global market in 2017 owing to rising demand of luxury vehicles, and growing adoption of electric vehicles. 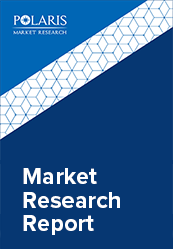 The Automotive ECU Market comprises a detailed geographic distribution of the market across North America, Europe, Asia-Pacific, Latin America, and MEA. North America is further segmented into U.S., Canada, and Mexico. Europe is divided into Germany, UK, Italy, France, and Rest of Europe. Asia-Pacific is bifurcated into China, India, Japan, and Rest of Asia-Pacific. Asia-Pacific accounted for the largest share in the global Automotive ECU market in 2017. The primary factors driving market growth in this region include rising demand for luxury automobiles, increasing development of autonomous vehicles, and stringent government regulations regarding vehicular and road safety. The vendors in the market are launching new products to meet the growing customer needs. In addition, the leaders in the market are acquiring and collaborating with top companies in the market to enhance their offerings in the market and expand their customer base. The Automotive ECU market is highly competitive with the presence of a large number of small and large vendors. The leading players in the Automotive ECU Market include Denso Corporation, Lear Corporation, Continental AG, Delphi Automotive PLC, Hella KGaA Hueck & Co., ZF Friedrichshafen AG, Robert Bosch GmbH, Autoliv Inc, Hitachi Automotive Systems, Ltd., and Infineon Technologies AG among others.